Tune in to the latest episode of The Water Jar podcast and enjoy conversations from The Well about faith, friendship, and fun. Subscribe and listen via iTunes Podcast. Listen via Stitcher — App available for iPhone, iPad, Android, and Alexa. A lot of what we know about the wise men is from the gifts they brought. In this sense, the wise men’s story can be ours, too. One of the best gifts we can give, to not only Jesus but others, is the gift of our own heart. And when we think of giving hearts fully and freely, we can think of authentic spiritual friendships. Rejoice, Again I Say ReJ-O-Yce! How joyful are you right now? Are your lips saying Jesus is the reason for the season but your body is communicating something entirely different? Take heart, O weary soul, this five-minute reflection is for you. Listen or read! You can listen to these weekly five-minute reflections via our website as well as subscribing to “The Water Jar” podcast in iTunes. You can also read a transcript from our website. Simply open up the post to explore options. A bite-sized, short and sweet weekly reflection you can listen to under five minutes. This week’s question to ponder: Have you asked God to do something in your life? Are you still waiting? While you wait, ponder how God is doing something new within you – right here, right now. 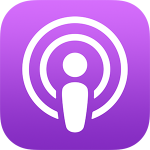 Adding a bite-sized weekly reflection to our podcast rotation that you can listen to under five minutes. Our first question to ponder together: Where might God be asking you to begin again?